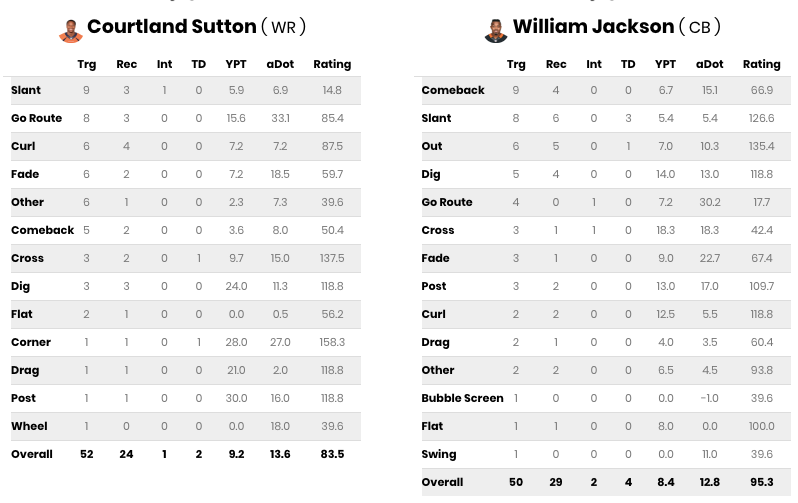 Welcome into the Week 13 edition of the DFS Matchup Metrics article with data provided by The Quant Edge! 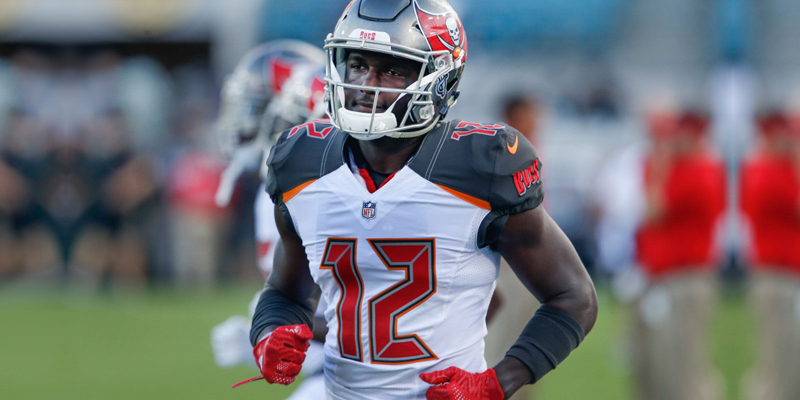 This week is the first week in a long time that we have more than 10 games on a particular slate and this week gives us some solid options down low for receivers. 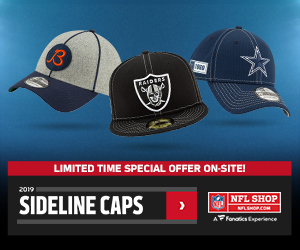 I plan to take advantage of some of the cheap options because I want to utilize players like Christian McCaffrey and Tyreek Hill. Let’s dive in and figure out who we should be looking at this week! Learn more about the tools and metrics behind TQE with our Review on The Quant Edge. Is Godwin going to be highly owned with the news that DeSean Jackson is out? Almost surely, especially in cash game settings. Do I care about that facet at all? No I do not because Godwin is a talented young receiver and a target share of 15.8 percent just opened up as well. While Jackson wasn’t a huge route runner from the slot, he did take about 16.7 percent of his snaps there. 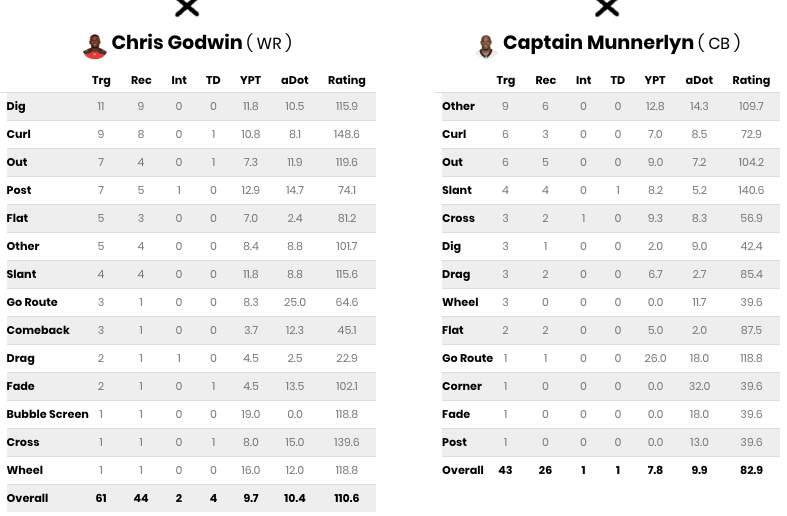 That should open up a few more opportunities for Godwin against Captain Munnerlyn. That should work out quite nicely for Godwin if the metrics are any indication. Godwin is actually still the leader in red zone targets on top of everything else going his way and the Tampa Bay passing game can be lethal when the quarterback isn’t turning the ball over. He’s got a great matchup, added volume and the talent to capitalize on the situation. At under $4,000, he makes for a very easy play this week. One of the better punts plays on the slate is on the Detroit Lions side of the ball in my opinion. Since the Lions have lost Golden Tate and Marvin Jones from their team, Ellington has a market share of 22.2 percent of the targets which is a massive amount. He lacks a whole lot of game-breaking ability but he’s going to see plenty of targets and rack up the catches in a game that the Lions should need to pass quite often. Furthermore, he doesn’t draw as hard of a matchup as some would lead you to believe. Nickell Robey-Coleman has an excellent reputation as a slot corner but he actually hasn’t been all that great this season. 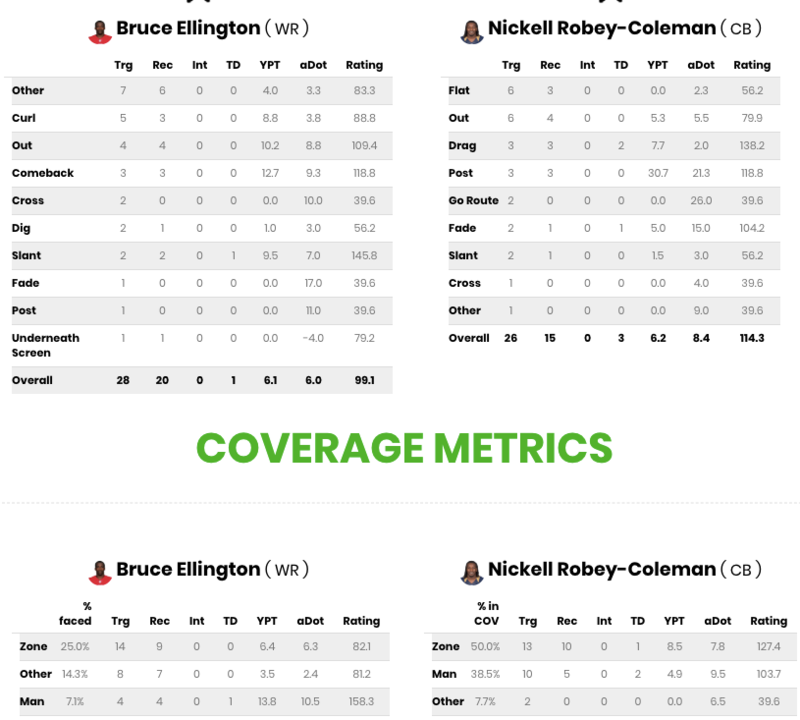 Robey-Coleman has particularly struggled in zone coverage so far and he plays that style at a 50 percent clip. 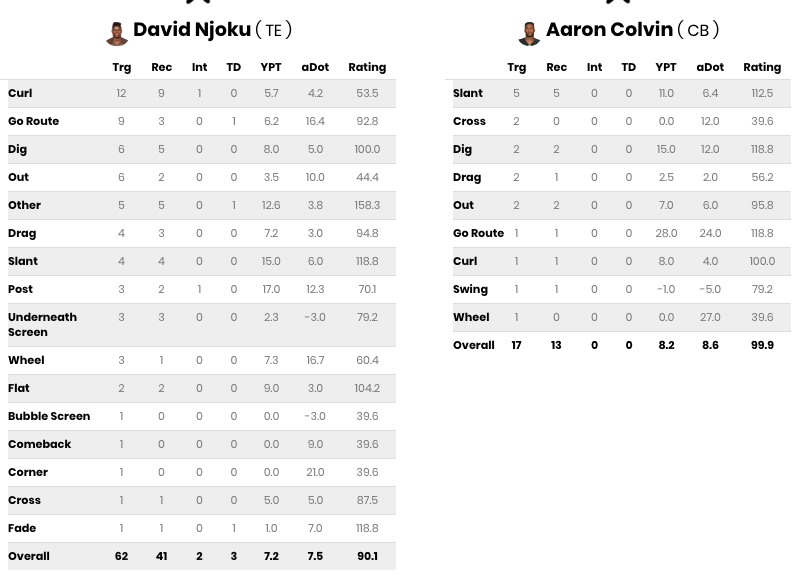 Even with Aqib Talib coming back for this game, I don’t suspect that will change all that much. It’s obviously a very small sample but Ellington has been perfect so far in man coverage as well. This is a good spot for extra volume and the matchup could be far worse. Ellington is a nice addition to any DraftKings lineup. This player is best reserved for GPP’s only since he hasn’t exactly produced at the level many expected with the trade of Demaryius Thomas. Sutton has made splash plays but struggled with consistency so far. However, this is a spot that could accentuate his strengths. The Bengals allow the second most passing yards, tied for the second most touchdowns given up and the third most passing plays of 20+ yards. If there’s ever a spot for Sutton to go off, this is it. The dig route especially looks like a good route to target Jackson with and the Bengals defense has been so poor lately that it seems like the Broncos could really have their way in this game. The rookie receiver has a solid individual matchup and a poor defense to contend with. While the floor is very real, Sutton could show his considerable ceiling in this one. That’s a very poor record, especially considering two of those players aren’t exactly the cream of the crop at the position. To be truthful, Reed’s best days are likely behind him as well. Now they get Njoku, who is an athletic freak and you could argue is the best of the four players. He could really shine if the Browns use him out of the slot this week. In a game where the Browns offense could struggle with the Texans defense, Njoku could turn into a safety valve for rookie Baker Mayfield. I would definitely go with Ebron in cash but Njoku stands out as quite the pivot and I will have some exposure to him this week.